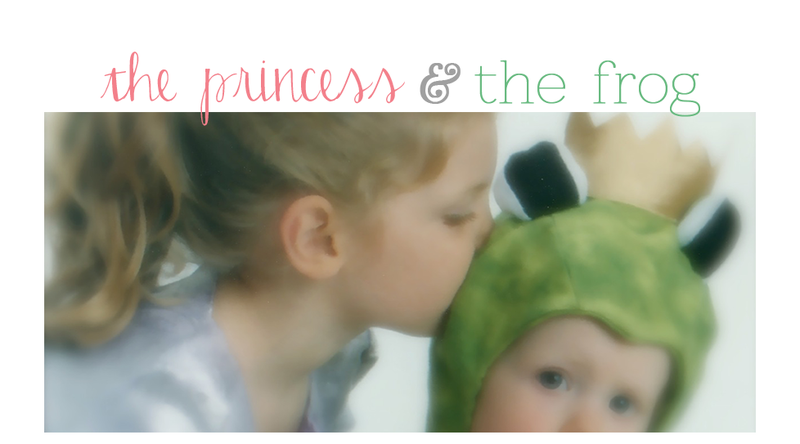 Friends, thank you for your wonderful suggestions of riding out the funk and just being. That's exactly what I'm going to do and you've made me realize that perhaps "the funk" is necessary and good (though I"m still ready for it to pass!). Thank you! The one thing that I have managed to accomplish this week (and it took me 6 days!) 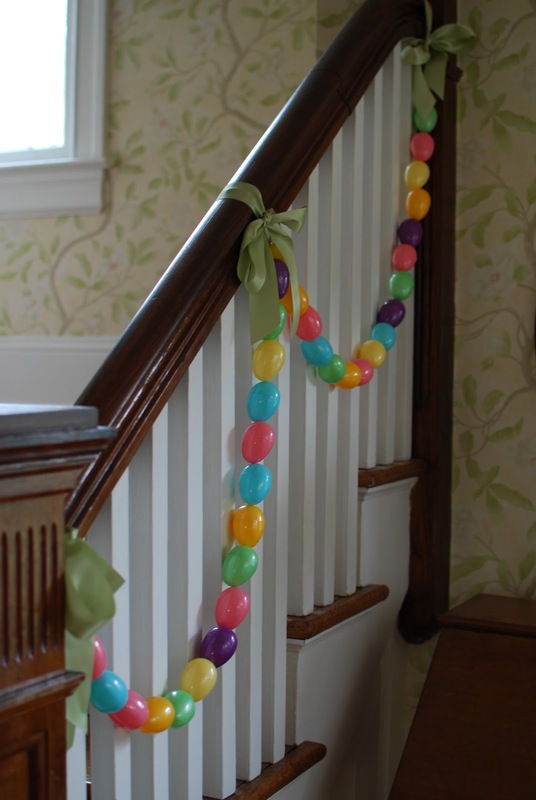 was making an egg garland for our stairs. Harris was very helpful! When we first looked at this house I was instantly smitten when I got a look at the staircase. 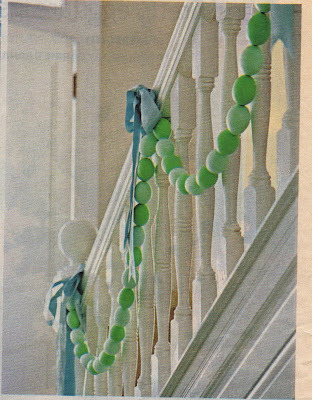 I immediately envisioned Christmas morning, prom and garlands! 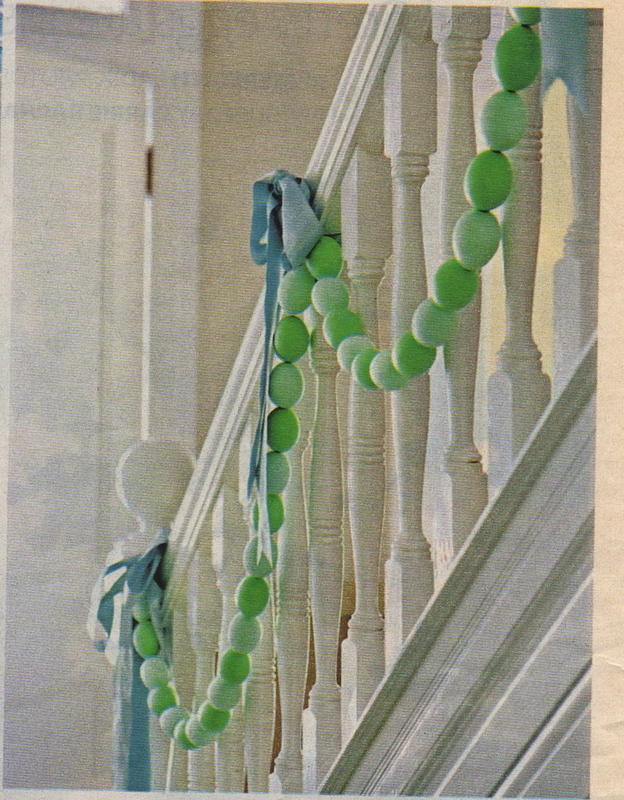 Years ago, I clipped this picture out of Better Homes and Gardens. I love everything about this look but every year I have put it off because the idea of blowing out that many eggs is completely overwhelming to me. 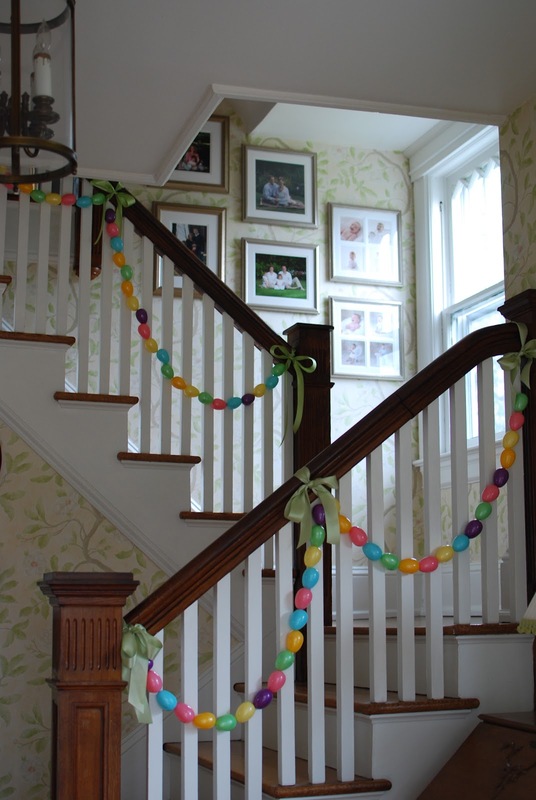 Instead, I just used regular old plastic eggs and though it is not as sophisticated as the inspiration garland, I'm really quite happy with it. 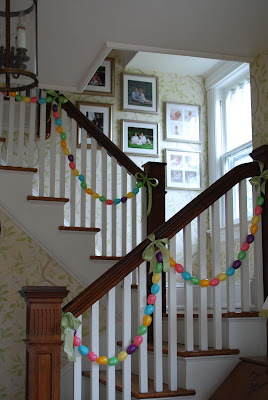 I used stretchy jewelry cord to string the eggs and having a very large needle was critical to making it easy and quick. I like your version much better actually! That is darling. I did one inspired by the green and blue, but wow the stretch string sure does stretch. Here is what mine looks like, I should have done a bigger size ribbon. https://www.pinterest.com/pin/166562886196229870/ I took the second from the top bow out and looks better and more balanced. Where are the directions? How did you get the needle through the plastic eggs? I bought eggs with holes already in them. hobby lobby has them pretty cheap! 24 eggs for 1.99....and like 30% off all Easter stuff right now! Going to try this. I have a staircase just like yours.